Today, we tackle a very common mistake many students make with their extracurricular activities. How recent should your shadowing, volunteering, and clinical experiences be? You need to understand that consistency is key! All questions here are pulled from the Nontrad Premed Forum. If you haven’t yet, be sure to sign up for free so you can begin to ask away and join a collaborative community of nontrad premeds. Thanks to Next Step Test Prep for sponsoring this episode. 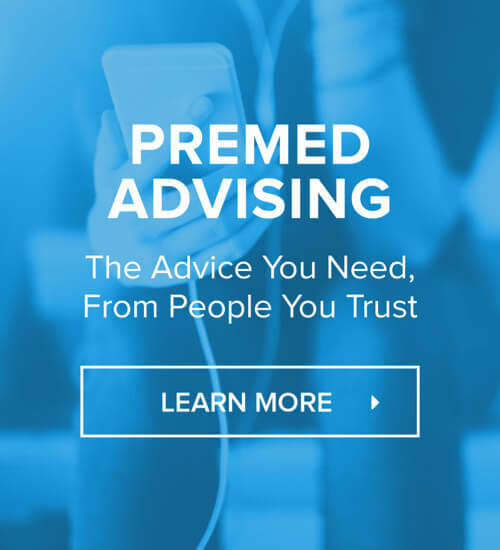 Check them out as they recently launched their Medical School Admissions Consulting. Aside from my independent consulting, I’m also helping them out as their Director of Curriculum for their Admissions Consulting. They’re going to help you craft your story and prepare for your interviews. They’re going to make sure your essays are on point. If this is something you’re interested in, sign up for a free consultation with one of their academic managers. Be sure to also check out all our other podcasts on MedEd Media Network so you can get as many resources as you can to help you along this journey towards becoming a physician! [02:55] How Recent Does Anything Have to Be? There a lot of nontrads doing some clinical experience in college and went and started a career in a nonclinical setting and trying to apply to medical school. Does that count? Yes, sure. But that’s six years ago. Look at this from the admissions committee’s side of things. If you’re applying to medical school and you’re saying you want to be a doctor and you haven’t shadowed a doctor in five to six years, how serious are they going to take you? How can you say that you’re spending the next six or seven years of your life training to be a physician when you haven’t proven that you want to do that? You haven’t put yourself around physicians and patients. And actions speak louder than words. Hence, when you’re applying and you haven’t shadowed in years or even a year plus, you’re going to have a hard time getting into medical school. It doesn’t mean you won’t get in, but you can have a hard time getting in. Why? Because the medical school admissions committee is not going to take you seriously. They want to make sure that this is really what you want to do. And you do that by putting yourself around doctors and patients. You have to put yourself in clinical settings to prove to yourself that this is what you want to do. So yes, you need recent shadowing, recent volunteering, and recent clinical experience. Even nonclinical volunteering can be important as well. You need consistency when it comes to applying to medical school to show this is what you really want. You have to be consistent with your shadowing, clinical experience, volunteering, etc. There are a lot of moving parts and pieces to this puzzle. Don’t look at this like you need 50 hours of shadowing and then just stop so you can focus on the other parts of your application. You need to maintain consistency and that doesn’t mean 50 hours a month consistently. It just means you need consistency with all of that. The hours count but you need to show recent consistency up to and through the application. I came across a high school student once and said they’re going to get their shadowing out of the way. Well, you can’t do that. It’s not going to work. Check out Next Step Test Prep and their new Medical School Admissions Consulting. If you’re looking for some help with your application, with your essays, interviews, and general premed advice, sign up for their free admissions consultation with one of their academic managers. Mention that you heard about their service here on The OldPreMeds Podcast to save some money.